Why Won't The European Runways Cast More Plus-Size Models? With each season, New York Fashion Week gets closer and closer to realizing true and authentic diversity. In fact, according to The Fashion Spot's bi-annual diversity report, the spring 2019 season (which counts 76 major shows and 2,203 model appearances) was the most representative across different races, sizes, ages, and genders, ever. And it seems the European runways are also doubling-down on this commitment to inclusivity. At least, kind of. Across the board, the spring runways saw huge improvements for castings involving non-white, plus-size, and transgender/non-binary models. In fact, half of the top 10 models of the season were women of color (including Sora Cho, Adut Akech, and Yoon Young Bae). Racial diversity was at an all-time high in New York City, with 44.8% models of color; London came in second with 36.2%, closely followed by Paris with 32.4%. Milan came in last with just 29.9%. 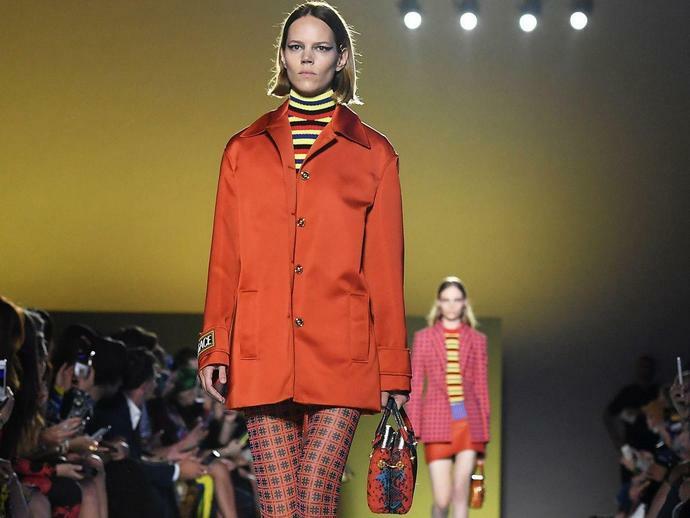 The number of plus-size doubled from last season, age diversity increased, and a record number (91) of openly transgender or non-binary models walked. The Fashion Spot notes that if we take New York's data out of the findings, racial diversity drops to 32.9 percent, plus-size model castings drop to five as opposed to 54; over-50 model castings to 14 rather than 27; and transgender and non-binary castings to 38 instead of 91. While designers abroad may have gotten message the when it comes to race, but they're still seriously lacking when it comes to body diversity. According to The Fashion Spot, only three European brands made "any effort toward size inclusion:" In London, Raisa Flowers walked for Nicholas Kirkwood; in Milan, three plus-size models walked for Dolce & Gabbana show; and in Paris, Jill Kortleve walked for Alexander McQueen. "Europe is old, conservative, and very stuck in their ways," French model Clémentine Desseaux, told Refinery29 in August, saying there still isn't enough of a market in her home country to build a viable career as a plus-size model. "They know what works and what's safe and do not even try to change things up for fear of losing what they have."